The cost of the roof elements made of 120mm thick 3-layer wood elements should be minimized. Various geometric approaches to clipping, transport logistics, production costs and assembly time were investigated. The roof area is a piece of an ellipsoid. The geometry of the edge beam at the eaves had to be reconciled with static as well as production requirements. 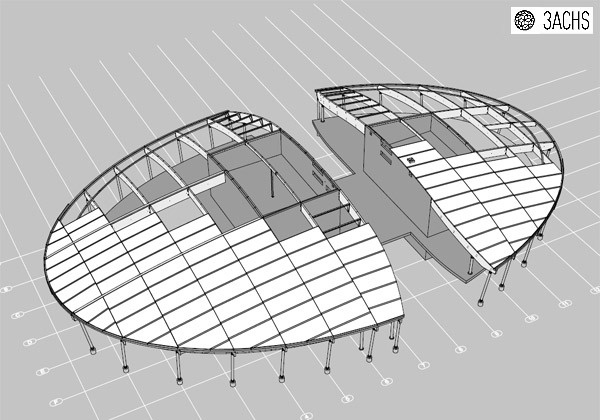 This was achieved by changing the parameters of the roof geometry and the eaves edge projection with a solver. 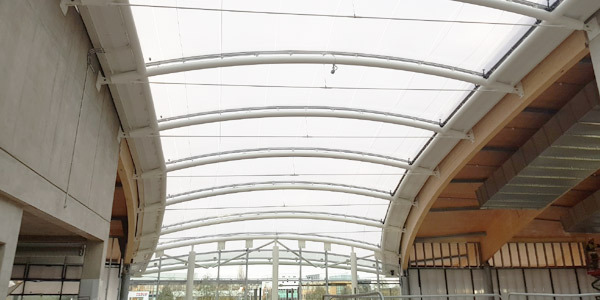 The roof shape and the resulting shape of the individual roof elements was varied until the edge beams met all requirements. Black numbers denote permissible values, red numbers indicate impermissible values. On this image the change in the roof shape is greatly exaggerated. The deviations from the original form is in the centimeter range. 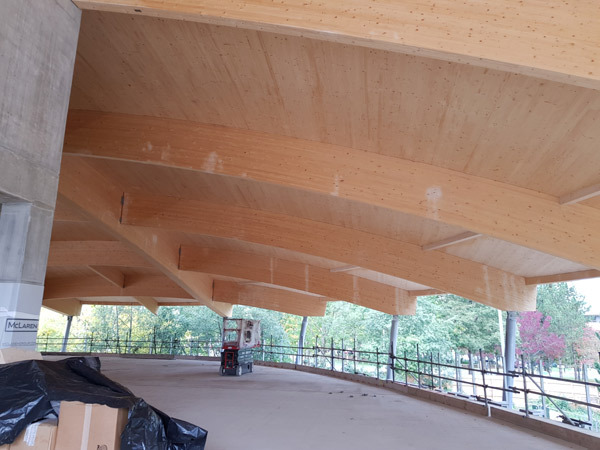 Another special feature are curved glulam beams.